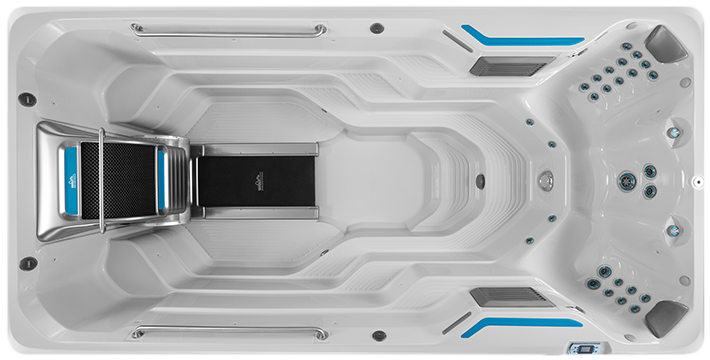 The Fitness Area features grab rails for balance and to anchor any fitness gear option. 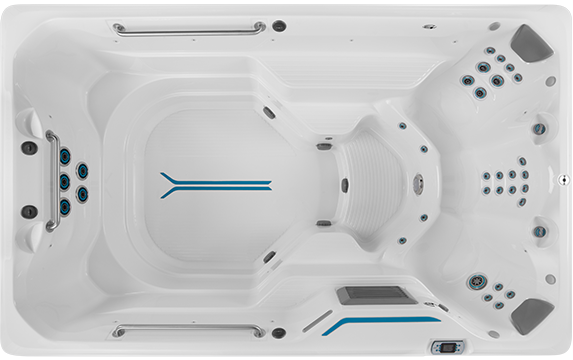 At 15’ long, the Fitness Area gives the whole family plenty of room for fun and activity. 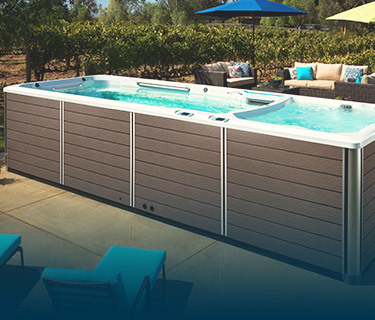 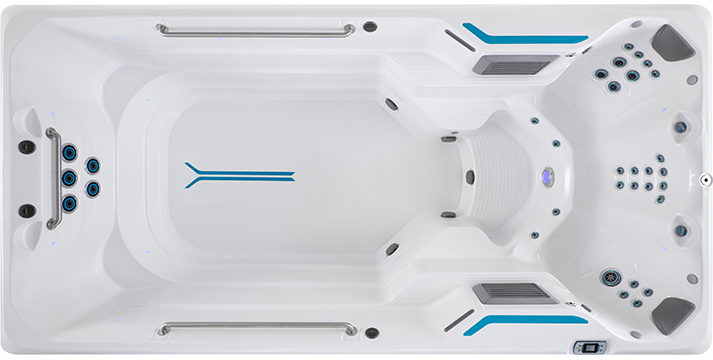 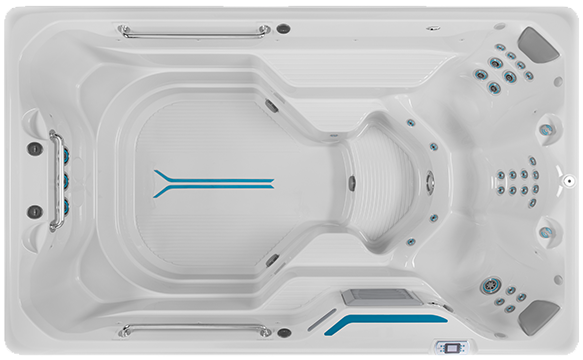 You’ll love the SwimCross swim system, which gives you a quality jetted swim with our smooth, variable-speed current.